When searching for movers to pack up and relocate your home or office, there are many factors to consider. Key among them is appearance. While the saying might go “Don’t judge a book by its cover,” when picking the right mover appearances speak volumes about the level of professionalism and dedication you’ll experience. All too often when hiring a mover people will, as a cost-cutting measure, hire inexperienced movers rather than professionals. As such, they end up having expensive issues where the costs to rectify these problems easily outstrip the value of the discount received. Many of these types of issues can be avoided by only hiring professional movers. But how does one spot a professional mover? That is when appearances come into play. 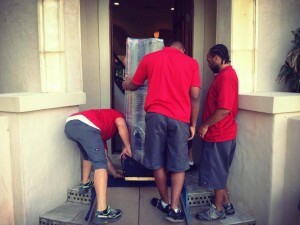 Inexperienced movers can often be identified by not wearing matching uniforms. 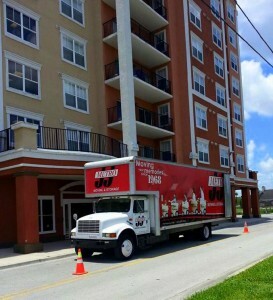 Most times they will show up to move your home or office in a simple rental truck. These fly-by-night movers will try to do as many jobs in one day as possible, in order to maximize their time and profits. As a result, quality gets sacrificed for quantity, as these types of movers do not take care in packing or loading your belongings. For that reason, your personal items can be easily broken, and even worse, go missing, leading to expensive repair and replacement costs. 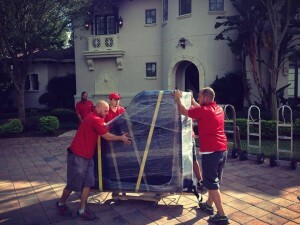 On the other hand, experienced, professional movers take pride in their appearance and work. They will show up to your home or office wearing matching uniforms and driving a truck with a company logo, and they will arrive on time. Professional movers will do what they say they are going to do, and they will take the time and effort to make sure they do the job right. Ideally, not only should the movers wear uniforms, but the estimators should wear them as well. Uniforms should all be clearly labeled with the moving company’s name and logo. Furthermore, professional moving companies will typically conduct background checks on all of their employees, and will ensure that the people that work for them are careful and upstanding before they hand them a uniform. Why is this the case? The answer is simple. If a mover is wearing a uniform, then that person is representing the moving company. And professional moving companies that care, only want the best people representing them. Taking care of appearances shows that a company cares about its reputation. And that makes all the difference in the world.